Bayliner manufacture sports boats and cruisers from 16 to 34 feet. Bayliner boats have always offered great value for money, with the emphasis on quality, function and comfort. Since 1986, Bayliner have been part of Brunswick Marine, the world’s largest marine company, having dealers and distributors in over 50 countries around the world. The Bayliner range of boats now offers more than 20 different models, from the compact outboard powered 160 to the 335 cruiser which can offer comfortable cruising for up to 6 people. Since their inception, Bayliner have offered boats that are well designed, solidly built and of a quality that is easily comparable with the models produced by the more expensive manufacturers. They have taken a large proportion of the market share for some time thanks to their wide choice of models, sporty design and value for money. 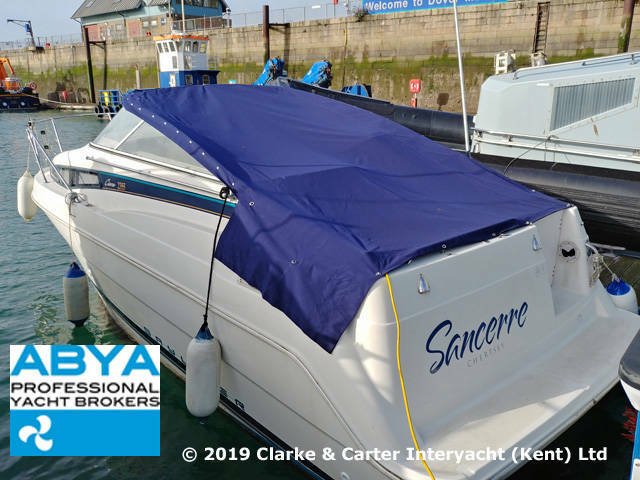 Bayliner have continuously developed over their history, introducing and updating their range to keep at the forefront of what is a very hotly contested marketplace. Popular with families and watersports enthusiasts alike, such is the popularity of Bayliner boats that there are seemingly few places both in coastal waters and inland lakes where the Bayliner brand is not known. Active Families, watersports enthusiasts, towed sportsboat, small-medium sports cruisers. The Bayliner name first emerged in 1957, when one Orin Edison sold his wooden "Bayliner" boat in Seattle, Washington. The success of this model, and other boats led to his company, AOM (Advanced Outboard Marine) buying the name ‘Bayliner’ from his boat supplier, Al Koffel, for $100. By 1966, Edson started Puget Plastics to build the first fibreglass Bayliner boats, which by 1968 had expanded production to a large rented hangar in Arlington, Washington to service its almost 100 dealers across the United States. A year later a plot of land was purchased by Puget Plastics in Arlington which would become the manufacturing home of Bayliner for almost 40 years. Although the late 70's were not the best of times for the marine industry, Bayliner developed and refined its production techniques with such success that it was able to grow further and open new factories during the period. The 1980's proved strong again and the brand was truly established when, in 1986, it became part of the Brunswick Corporation; alongside marine industry giants, such as Mercury. Bayliner has always strived to give the customer an affordable boat that forfeits gimmicks and luxuries to provide maximum usability and enjoyment on the water. 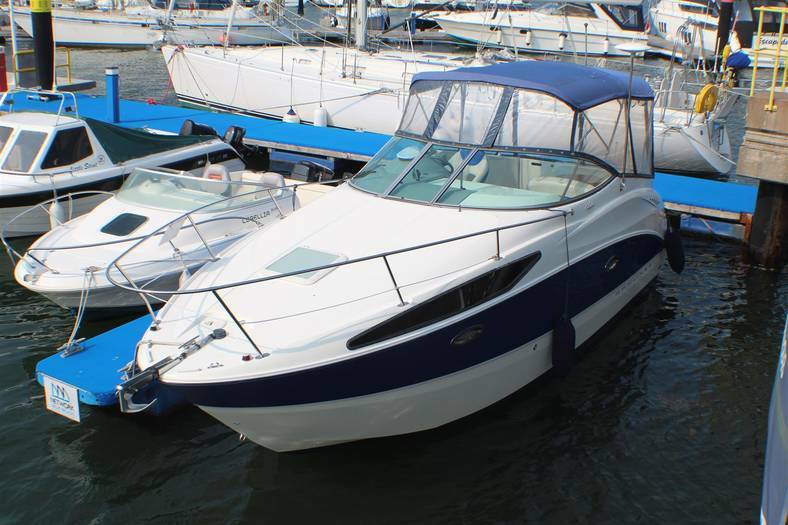 In the early 90's, such was the success of the brand that 25% of all cruisers sold in this period were of the Bayliner brand. Today Bayliner continue to thrive in this competitive market by manufacturing high quality, no-frills boats at affordable prices. 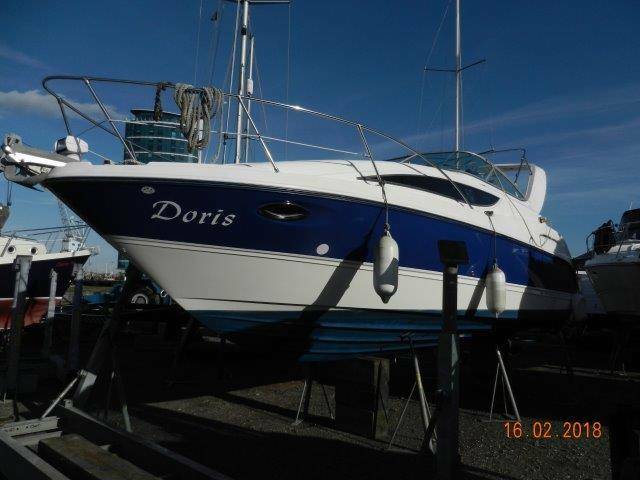 This boat offers style and space at an attractive price. 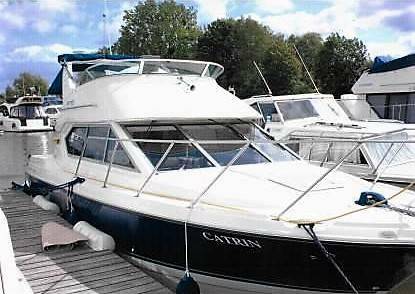 The Bayliner 245 offers a spacious layout combined with side windows to provide great natural light. This boat offers a double birth with options for another 2 berths. The cockpit includes a large L-shaped seating arrangement which give it a spacious and luxurious feeling. The salon is forward facing with option to convert it into a double berth. Under the cockpit there is also a double birth with sink, toilet, and shower. 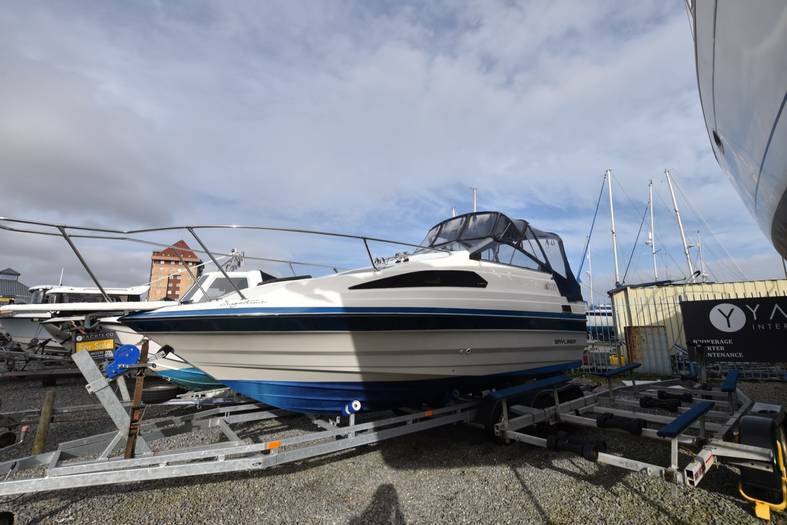 This is an ideal boat for any family, and this boat is towable so it can be taken anywhere whether over sea, or over land. In Lake County, Northern California a strange tactic is currently being deployed in the battle against the zebra mussel. An abandoned Bayliner pleasure boat is being used as an educational tool in the lakes’ Invasive Species Inspection Program. The boat was launched into Lake Mead, Nevada on July 5th and will be left in the infested water for four months. The boat will be removed from the lake and the mussels will be exterminated and will pose no further threat. Due to their size, the zebra mussel easily attaches itself to most things in the water. It can cause critical damage to boats, pipes and other manmade objects, but also other species’ and native mussels of which they easily overpower and kill. The number of zebra mussels has risen sharply over the past few years. It is estimated that that there are 1.5 trillion adult zebra mussels and 320 trillion baby zebra mussels in Lake Mead – 10 times the amount recorded in 2007. This is solid evidence of the danger posed by these intrusive species. It is hoped that the old Bayliner will be an important tool in both the training of screeners and inspectors in monitoring invasive species’ and also in combating the rise in zebra mussel numbers.